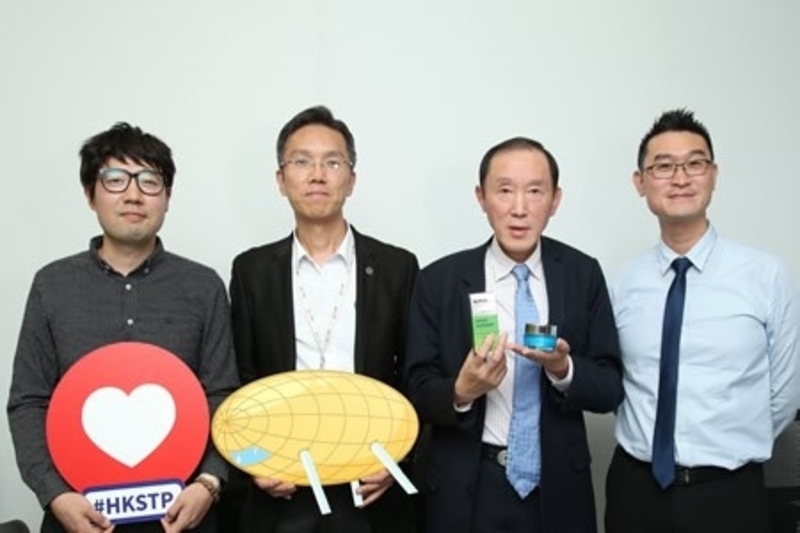 According to a recent report, a Hong Kong Science and Technology Parks Corporation (HKSTP) partner company since 2007, announced that it has developed a leading comprehensive biotechnology platform that applies enzyme-based, low-cost processes in manufacturing high-quality pharmaceutical, nutraceutical and food products. The company is currently one of the only companies in the world that have a complete chain of enzymatic production with advanced technology in each of the manufacturing steps. Named Immobilised Enzyme Assembly for Cascade Biocatalysis, the biotech platform uses newly-developed industrial enzymes, proprietary technologies and ground-breaking enzyme-based manufacturing processes to develop drugs and food ingredients for various industries. The technologies, industrial processes, including the products manufactured using these processes, have been validated by international standards bodies such as the American, EU and Japanese Pharmacopeia. The company has also signed partnership agreements with the leaders in the pharmaceutical and nutritional industries to apply their proprietary technologies for mass production. Earlier this year, the company opened a new 3,000 square feet laboratory in addition to its current facilities in Hong Kong Science Park. This laboratory serves as the main R&D facility staffed by more than 30 research scientists, with many of them holding advanced degrees in various relevant disciplines. The laboratory focuses on transforming laboratory techniques and technologies into commercial and industrial applications. GeneHarbor also has manufacturing facilities in Shanghai, Suzhou and Ningbo, China. Enzymes and the accompanying co-enzymes are biocatalysts that are often used in the manufacture of drugs and health products. Currently, of the HK$23.4 trillion (US$3 trillion) worth of fine chemicals produced annually, only less than 4 per cent are made by enzymatic processes. “Green chemistry” is playing an increasingly important role in the manufacturing industry, and as such, enzyme-based manufacturing methods are much preferred by industry players. This new approach is set to revolutionise bio-manufacturing because they are highly specific in producing the final products with high yields, generating less waste and by-products. The reactions take place under mild conditions and usually do not use other potentially-polluting chemicals or require high temperatures and high pressures used in conventional chemical manufacturing processes. Enzymes are also non-toxic and biodegradable. The Founder and CEO of the company stated that the current methods of applying enzymatic processes in industrial manufacturing are not common because enzymes and co-enzymes are very expensive. Furthermore, the bio-reactors in use today are not efficient. He noted that after more than twenty years of research and over HK$1.17 billion (US$150 million) invested into exploring new enzymes, developing proprietary and patented technologies never used before in the industry, the company has established over a dozen new processes of producing pharmaceutical and food products and is on the cusp of completely revolutionising the bio-manufacturing industry. The company’s manufacturing innovations have already positively impacted the nutritional market, making some of the previously expensive products more affordable to the public. One example is β-Nicotinamide mononucleotide (NMN), an anti-aging product. Over the last two years, the company’s manufacturing methods have reduced the retail price of an NMN 9000 capsule from HK$23,400 (US$3,000) to less than HK$1,560 (US$200) today. For another product, the natural antioxidant glutathione (GSH), the company’s manufacturing innovations have reduced solid waste and energy consumption by over 70 per cent, compared to conventional processes. HKSTP has been supported the local development of Hong Kong’s innovation & Technology (I&T) sector, and biomedical research is one of its key focus areas. Hong Kong Science Park currently has one of the most vibrant biomedical technology ecosystems, with more than 100 biotechnology companies involved in medical devices, molecular diagnosis, stem cell therapy, regenerative medicine, traditional Chinese medicine and advanced therapeutics. The Biomedical Technology Support Centre at Science Park provides R&D tools and affordable high-quality technical services for local research, especially for start-ups.